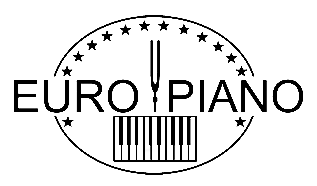 Piano Studio was established in 2002 by Ryszard Mariański, an experienced piano design technician, a graduate. 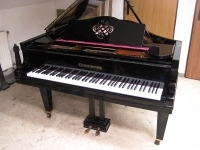 For some time Piano-Studio has also cooperated with foreign customers from across Europe. 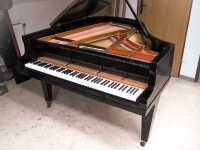 Its employees are experienced craftsmen and qualified technicians of grand piano design who attach importance to their work in order to maintain quality of renovated instruments on the highest level. Renovations are not a routine job following a fixed schedule. What distinguishes the company is a special approach to its services involving individual treatment of every instrument. To prove it the company invites craftsmen, artists and musicians to cooperate in order to meet the customer's requirements. All renovations starting from instrument dismantling, through woodwork preparation, through interior renovation, action adjustment to case refinishing are carried out in our shop - says Ryszard Mariański. It should be noted that as one of the few companies in Kalisz, Piano-Studio has its own painting shop. Therefore, the entire range of jobs including those connected with case finishing and refinishing is controlled by the company personnel. Appearance and beauty is one thing, however, the instrument must play first of all - sums up Ryszard, who is a company specialist for renovations and action adjustments. Working on the action is the most critical part of the instrument reconditioning since a well-adjusted and well-working action ensures satisfactory touch-weight while well-voiced hammerheads ensure clear tones. Customers' expectations as regards action functionality are very high. We feel pressure.Therefore, we take every effort to delight our customers and sustain that satisfaction. We guarantee that every instrument leaving our shop becomes an obedient and operational tool to interpret any musical pieces of art.